“The sinfulness of sin” sounds like a vacuous redundancy that adds no information to the subject under discussion. However, the necessity of speaking of the sinfulness of sin has been thrust upon us by a culture and even a church that has diminished the significance of sin itself. Sin is communicated in our day in terms of making mistakes or of making poor choices. When I take an examination or a spelling test, if I make a mistake, I miss a particular word. It is one thing to make a mistake. It is another to look at my neighbor’s paper and copy his answers in order to make a good grade. In this case, my mistake has risen to the level of a moral transgression. Though sin may be involved in making mistakes as a result of slothfulness in preparation, nevertheless, the act of cheating takes the exercise to a more serious level. Calling sin “making poor choices” is true, but it is also a euphemism that can discount the severity of the action. The decision to sin is indeed a poor one, but once again, it is more than a mistake. It is an act of moral transgression. In my book The Truth of the Cross I spend an entire chapter discussing this notion of the sinfulness of sin. I begin that chapter by using the anecdote of my utter incredulity when I received a recent edition of Bartlett’s Familiar Quotations. Though I was happy to receive this free issue, I was puzzled as to why anyone would send it to me. As I leafed through the pages of quotations that included statements from Immanuel Kant, Aristotle, Thomas Aquinas, and others, to my complete astonishment I came upon a quotation from me. That I was quoted in such a learned collection definitely surprised me. I was puzzled by what I could have said that merited inclusion in such an anthology, and the answer was found in a simple statement attributed to me: “Sin is cosmic treason.” What I meant by that statement was that even the slightest sin that a creature commits against his Creator does violence to the Creator’s holiness, His glory, and His righteousness. Every sin, no matter how seemingly insignificant, is an act of rebellion against the sovereign God who reigns and rules over us and as such is an act of treason against the cosmic King. 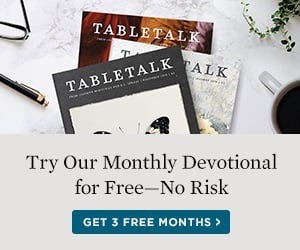 Cosmic treason is one way to characterize the notion of sin, but when we look at the ways in which the Scriptures describe sin, we see three that stand out in importance. First, sin is a debt; second, it is an expression of enmity; third, it is depicted as a crime. In the first instance, we who are sinners are described by Scripture as debtors who cannot pay their debts. In this sense, we are talking not about financial indebtedness but a moral indebtedness. God has the sovereign right to impose obligations upon His creatures. When we fail to keep these obligations, we are debtors to our Lord. This debt represents a failure to keep a moral obligation. The second way in which sin is described biblically is as an expression of enmity. In this regard, sin is not restricted merely to an external action that transgresses a divine law. Rather, it represents an internal motive, a motive that is driven by an inherent hostility toward the God of the universe. It is rarely discussed in the church or in the world that the biblical description of human fallenness includes an indictment that we are by nature enemies of God. In our enmity toward Him, we do not want to have Him even in our thinking, and this attitude is one of hostility toward the very fact that God commands us to obey His will. It is because of this concept of enmity that the New Testament so often describes our redemption in terms of reconciliation. One of the necessary conditions for reconciliation is that there must be some previous enmity between at least two parties. This enmity is what is presupposed by the redeeming work of our Mediator, Jesus Christ, who overcomes this dimension of enmity. The third way in which the Bible speaks of sin is in terms of transgression of law. The Westminster Shorter Catechism answers the fourteenth question, “What is sin?” by the response, “Sin is any want of conformity to, or transgression of, the law of God.” Here we see sin described both in terms of passive and active disobedience. We speak of sins of commission and sins of omission. When we fail to do what God requires, we see this lack of conformity to His will. But not only are we guilty of failing to do what God requires, we also actively do what God prohibits. Thus, sin is a transgression against the law of God. When people violate the laws of men in a serious way, we speak of their actions not merely as misdemeanors but, in the final analysis, as crimes. In the same regard, our actions of rebellion and transgression of the law of God are not seen by Him as mere misdemeanors; rather, they are felonious. They are criminal in their impact. If we take the reality of sin seriously in our lives, we see that we commit crimes against a holy God and against His kingdom. Our crimes are not virtues; they are vices, and any transgression of a holy God is vicious by definition. It is not until we understand who God is that we gain any real understanding of the seriousness of our sin. Because we live in the midst of sinful people where the standards of human behavior are set by the patterns of the culture around us, we are not moved by the seriousness of our transgressions. We are indeed at ease in Zion. But when God’s character is made clear to us and we are able to measure our actions not in relative terms with respect to other humans but in absolute terms with respect to God, His character, and His law, then we begin to be awakened to the egregious character of our rebellion. Not until we take God seriously will we ever take sin seriously. But if we acknowledge the righteous character of God, then we, like the saints of old, will cover our mouths with our hands and repent in dust and ashes before Him.